Betty's Condo at Hilton Head Beach Condominium Complex- Walk to the Beach! My third floor condo has a skylight by the door, is quiet, and has been recently refurbished. It has all of the comforts of home at reasonable rates. I maintain and rent my villa myself. We have comfortable furnishings: lounge chair, 2 LED flat screen TV.s, overstuffed mattress, new air-conditioner,ceiling fans with lights in three rooms, side-by-side refrigerator with ice and water dispenser on the door, dishwasher, smooth-top full size stove, over- the- stove microwave, and matching accessories. The stairs to the large pool and beach are one door from my condo. The large pool has a kiddie pool and a shaded area by it. The children's playground is by the tennis courts. We are retired professionals. Our home is fifty miles north of Hilton Head. We maintain and rent our condo ourselves. We offer personal attention to the needs of our guests. The beach in front of our complex is just beautiful! The security here is top of the line! The fitness center is well equipped and handy. The operators are helpful. Bicycles can be rented near the parking lot. Well maintained courts, lighted. Free for guests during daylight. A small fee for night lights. Had a fantastic stay! 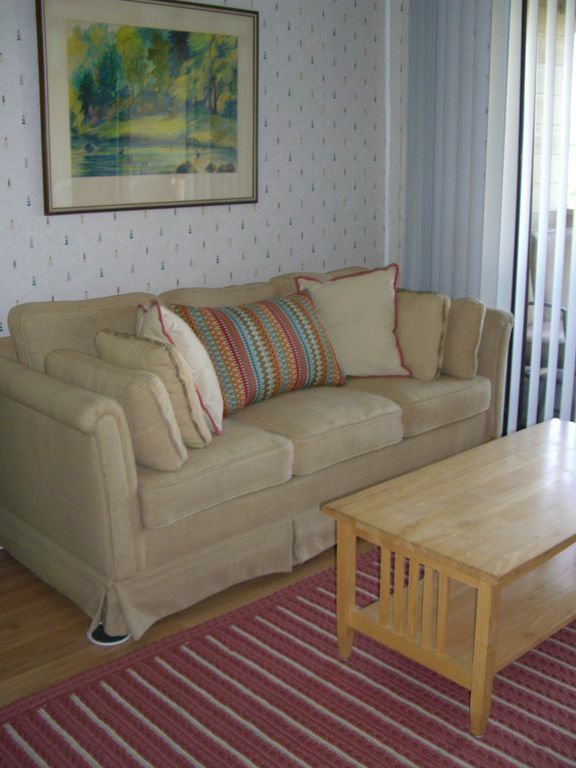 Condo was very clean and in a great location. About a 1 minute walk to the beach, pool, bar and grill. There was really no reason to ever leave the resort. Betty made us feel right at home. Looking forward to staying here again. This condo was perfect. Super clean and pretty. It was only my daughter and I but could have easily accommodated 2 more. We were the closest bldg to the beach so literally a 1 minute walk once down the stairs. Restaurant/Bar right there so we never left once we arrived. Betty was so helpful also. Would highly recommend!